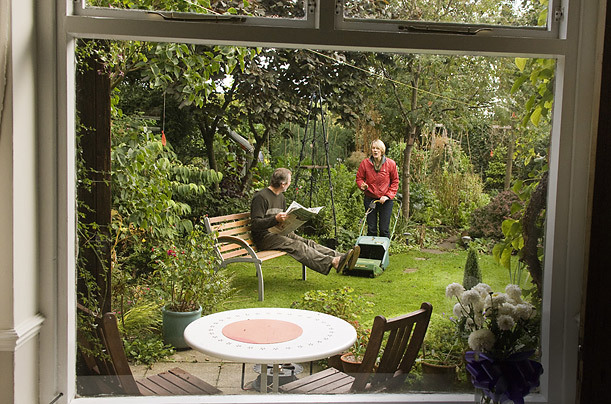 Nina Barr and Mick Marston, 58, have lived in their Victorian terraced house in the former mining village of Ebchester in Durham for more than 20 years. "It's a very strong community," says Nina. "A lot of people have lived here for a long time. We both love the garden and Mick can spend all weekend out there." The Book: "UK At Home"